1. 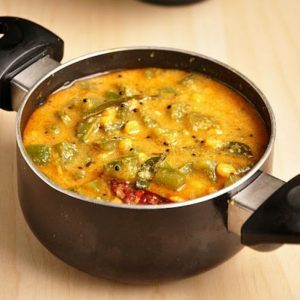 Boil the dal in a pan over medium flame. 2. When it is almost done, add the pumpkin pieces, turmeric powder, salt and red chilli powder. 3. Simmer it is cooked. 4. Meanwhile grind together the grated coconut and cumin seeds. 5. Add this to the kootu and boil for a few more minutes. 6. Remove the pan from flame. 7. Heat oil in a small frying pan. 8. Fry the mustard seeds, 2 tsp dal, asafoetida and curry leaves. 9. Pour this over the kootu. 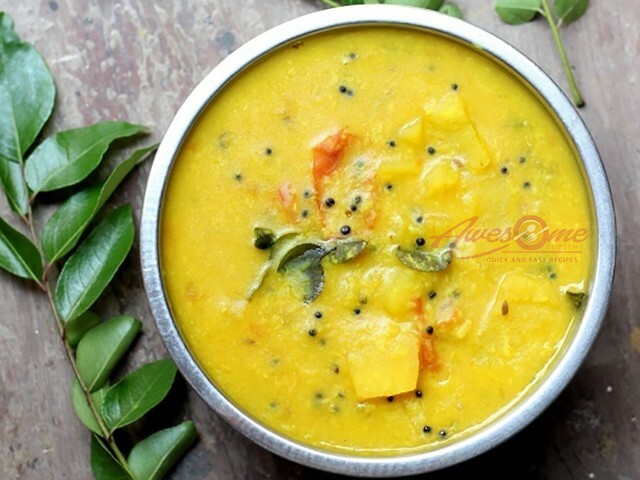 Feel free to comment or share your thoughts on this Pumpkin Dal Kootu Recipe from Awesome Cuisine.